The last time I watched a television show at its normal airtime on the TV screen was probably during my Barney days. Being a college student, I do not have time to watch my favorite television shows during their regular airtime. I like to watch the shows when I have free time and only on my computer. I’m convinced that Sidereel.com was invented for the average busy college student. It is basically my best friend at school. I come home from a long day of class and working at the library only to be greeted by my computer screen and my favorite television shows. My usual routine is to bring my dinner into my room, open my laptop, and sign onto my free Sidereel account. From there, a world of possibilities is at my doorstep. The best part about this world is that there are no commercials. For an impatient person like myself, this was quite possibly the best invention. The most popular link on Sidereel.com is Megaupload. On Thursday January, 19th the world’s largest file-sharing site was shut down due to the violation of piracy laws. An indictment accused Megaupload.com of costing copyright holders more than $500 million in lost revenue from pirated 0films and other content. As I lay down in my bed excited to watch the new episode of Shameless on January 19th I am surprised to find that Megaupload has been shut down. I felt betrayed. The one activity that makes me excited to come home after a stressful day is gone. How can they just do that to me? I felt like a little girl who just got her blankey taken away from her. 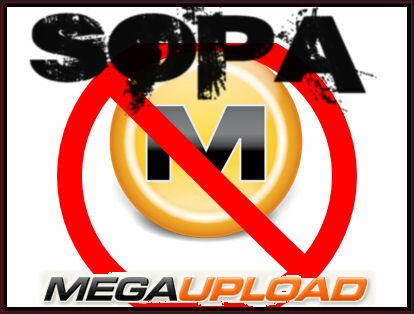 Megaupload needs to warn its users before pulling a stunt like that. I have not found an equivalent to Megaupload yet. As all of you can tell, I am extremely disappointed.